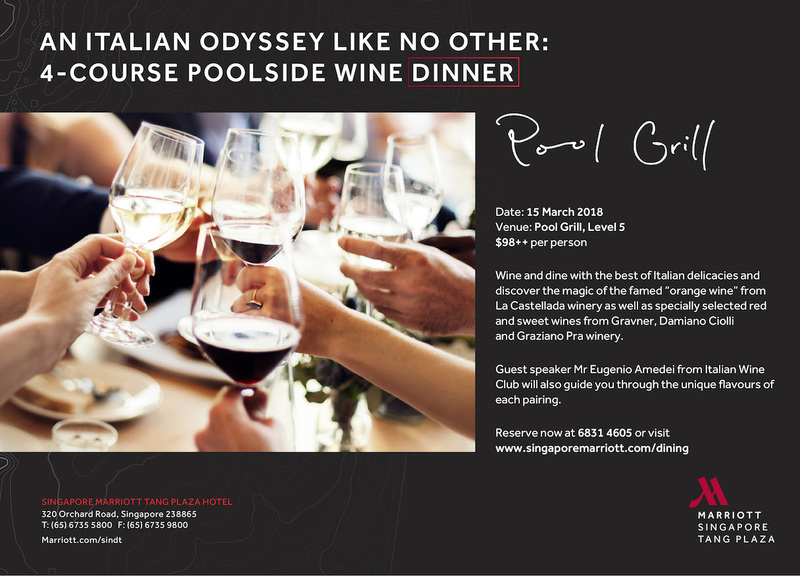 The Italian Wine Club will be organising a wine dinner at the Pool Grill in Singapore Marriott Tang Plaza on Thursday 15 March 2017 at 7.30pm featuring a range of Italian wines, including the famed orange wine of La Castellada. The full menu is given below. This dinner costs $98++ per person; to book a spot call 6831 4605 or visit www.singaporemarriott.com/dining.